No matter who you are, what you do, how good you are, the more you grow and become successful the more hate you gonna get. It’s just a matter of time when you will start facing negative social media comments. These negative comments could be from anyone, from a jealous hater to an unsatisfied customer. Whether you are an individual or a brand you should know how to deal with genuine and false negative social media comments. Well, panicking won’t do any good. The very first thing you need to do is to read and analyse the received message carefully before reacting to it. Remember social media connects you to the entire world and not everyone speaks or know your language. So, there is a possibility that the person who commented was not able to convey his/her message clearly, it can be a question, some kind of a query or a feedback. Therefore, read it twice before responding to it. Also, not every disagreement is a negative comment, you need to understand the other person’s point of view and then make your point to clear any confusion. What kind of negative comment is it? If the comment is spam, advertisement or a troll then you don’t need to respond to it. It is safe to keep a record of all the negative comments that you encounter on Facebook, Twitter or any other social media platform. Take a screenshot and document it for future reference. It is important to have a proof because people can delete or modify their comments especially when they are purposely hating on you. Also, these negative feedbacks or comments will give you an insight into your own product and service which will help you improve your brand. You can use these records as an example to train new employees so that they can learn how to handle such situations. The second question that comes to our mind. Should I delete the negative comment on Social Media? If you are 100% sure that the comment is fake, spam or troll. If the comment carries abusive and inappropriate language. Otherwise, you should never hide or delete any negative comment or feedback as other people will start questioning your integrity and doubt your customer handling capability. Put yourself in other person’s shoes. How would you feel if instead of taking action, the company simply removed your comment? I guess angry and irritated. 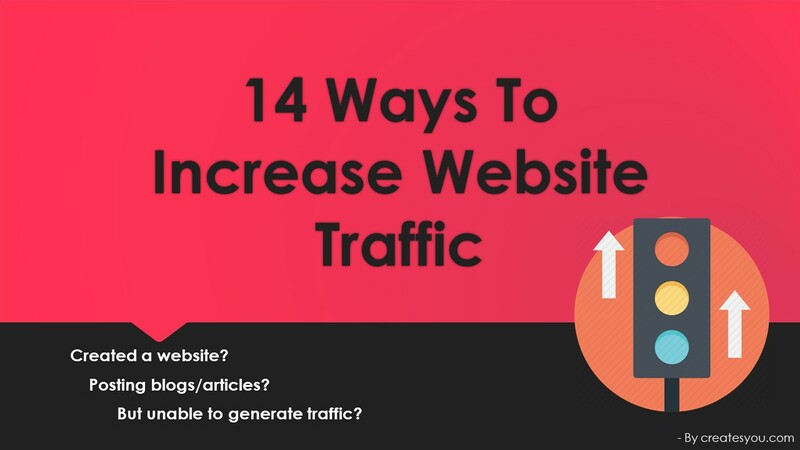 Not only you will become more aggressive but also start sharing your experience with your friends, co-workers, family and also on other social media platforms. 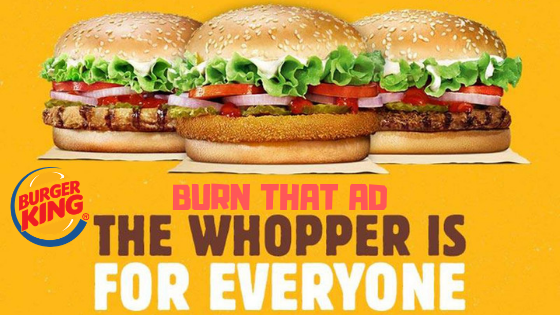 This will ruin the brand image. 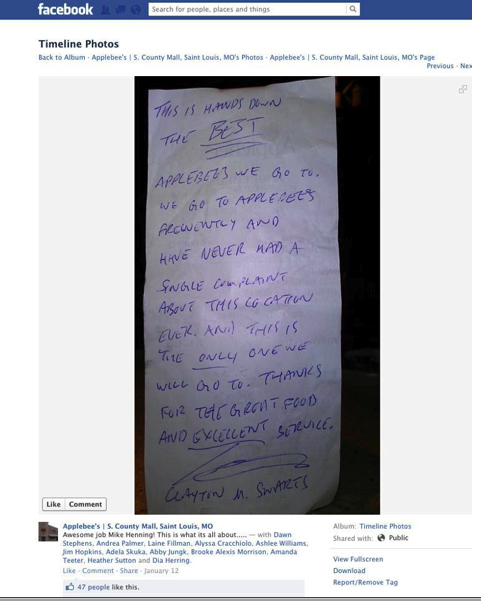 Learn from Applebee’s Facebook meltdown, in which a situation got worse when they tried to hide and delete criticisms posted to the restaurant’s Facebook page. Negative comments start popping up on Applebee’s Facebook page when a waitress name “Chelsea Welch” posted a photo of a customer Pastor Alois Bell’s bill. According to the waitress, she posted the pic as a customer refuses to give the tip and left a snarky note saying, “ I give God 10% why do you get 18”. But the customer called it an attack on her privacy. There were over 20,000 comments on that post and most of them were negative. Applebees tried to delete those comments and started posting more comments on behalf of themselves which created a social blunder. This affected their image badly. Sadly, Applebees fired that waitress. That’s not important. But the way Applebee’s handled the situation was not right as it caused them trouble afterwards. On social media, words spread faster than the fire in a forest. Delaying can be counted as ignoring which might make the situation slip from your hand. Responding quickly shows that you care and want to prevent the issue. Timing is the key factor here, respond within an hour and get a hold on the situation. Remember you and your brand has an image to maintain, don’t let it get ruined. Your response will be judged by everyone who is looking at your conversation. Don’t let negative comments overpower your emotions. Acknowledge your mistake when you are wrong. Acknowledging your own mistake will prove that you don’t run from your responsibilities. This can turn a complaint into a positive feedback. Always believe in providing good customer service. 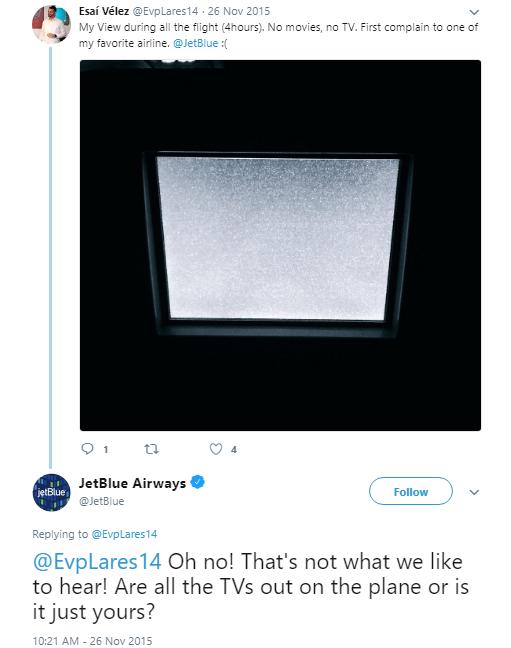 Look how calmly JetBlue handled the situation when a customer posted a complaint on Twitter. But you can ignore if someone is purposely hating on you. When you realize that explaining your side won’t do any good as that person purposely keeps disagreeing with you, then simply stop responding. In such cases avoiding them will make them shut. It is better to take the argument from social media to the private platform. 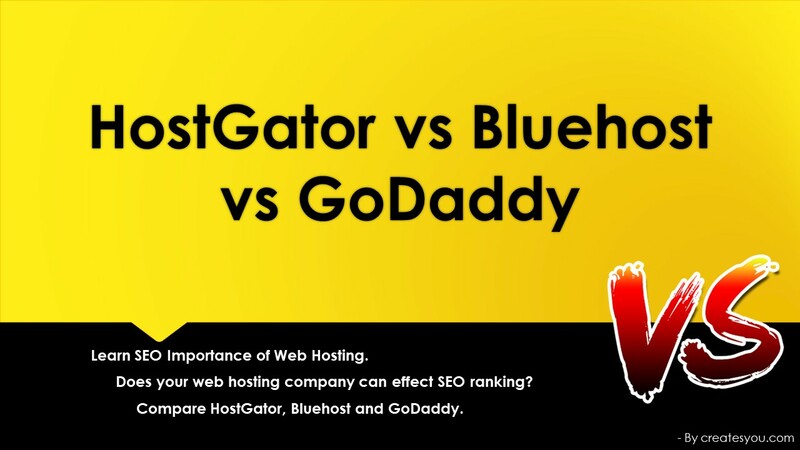 You can politely provide your email address or other private contact details to the customer. Tell them you want to hear more about the problem in detail so that you can provide a solution. Once you’ve responded to a negative comment on social media, take necessary actions and do as you promised to the customer. The issue is not fixed until the customer is satisfied. Follow up until you convert negative to positive. Keep interacting with the customer to improve your overall customer service. Make every encounter with customers count. By now you have learned how to deal with the negative comment that knocks on your door. But, how will you prevent someone spreading negativity behind your back? 30.72% of tweets containing company names don’t include their tweet handle. It is easy to handle any negative comments that you received on your site, Facebook or Twitter page, but you cannot be present everywhere. To monitor the mentioning of your brand name outside your territory, use Google Alert. Google Alert is the best tool to keep an eye on the internet. 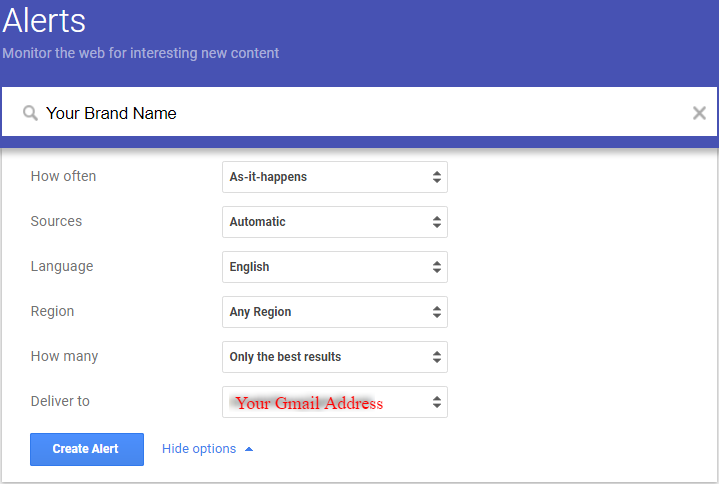 You can easily set up an alert for your name, brand name, website etc. The service will send you a notification via email whenever it detects any mentioning of your chosen terms on the internet. Read the received message carefully. Remove spam, fake or troll comment. Monitor brand image with Google Alert. Do not react without reading the message carefully. Don’t delete a genuine negative comment or feedback. Don’t let the negativity spread online. Just remember getting positive and negative comments are part of life, no matter how amazing your brand is or how good you are, mistakes happen, customers get upset and complain. Receiving any false negative comment from your hater or competitor proves that you are already way ahead of them. Remove any spammy, fake or troll comment without giving any second thought. But be honest and transparent when dealing with genuine negative social media comments from a customer or a follower. Once you find a negative post, tweet or comment, try to respond as soon as possible because time is a key factor. 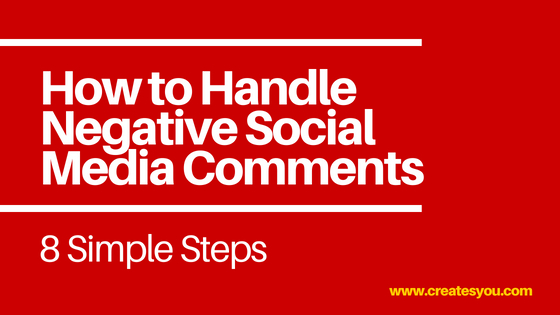 Have you ever faced any negative social media comments? 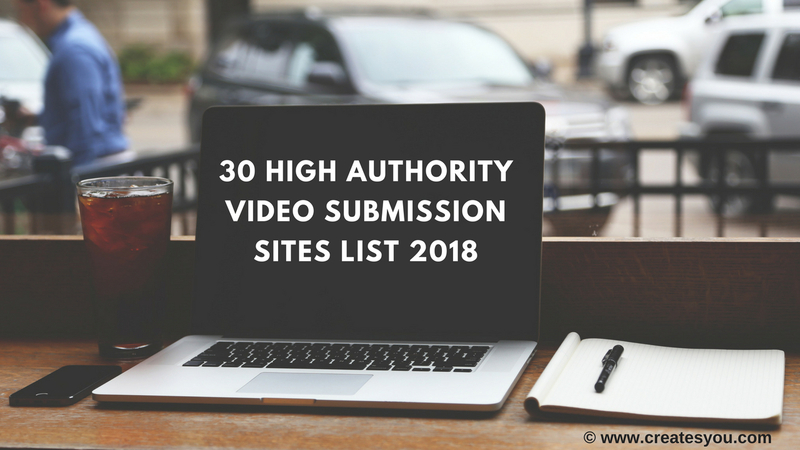 I look forward to hearing your stories in the comment section below. I will keep sharing more.